Just like our earth, our sun's internal structure has different zones. 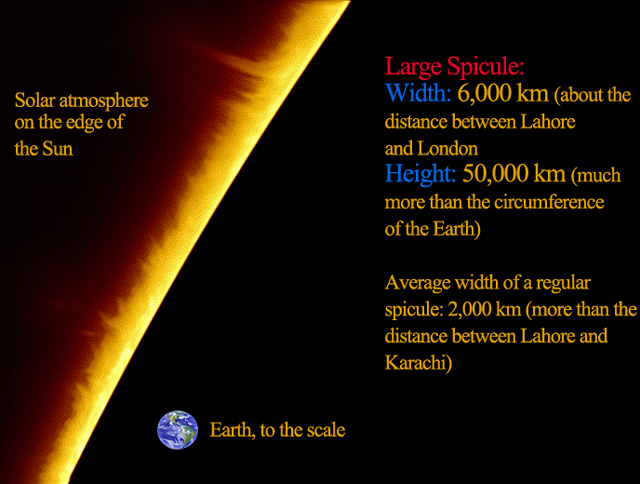 Underneath the solar surface, which is called the Photospehere, is a 'Convection Zone'. This is where the internal material comes up, cools down and then falls back. Hence we see a boiling effect on the surface. Here is the super magnified version of the same image.. every bright round dot is called a granule which is about 700-1000 km in size, having a life of about 10 minutes. After a long time, i have started solar imaging again. 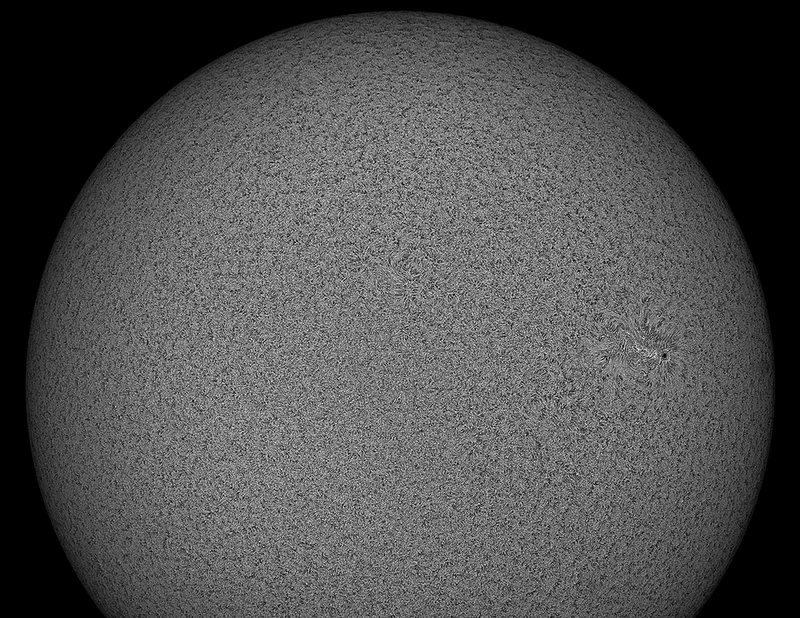 This image was taken today with Lunt 152 Hydrogen Alpha Solar Telescope and Imaging Source DMK21 Mono CCD Camera. Got 6000 frames and selected 2000 of them and stacked and processed with Avistack and Registax. Final details were enhanced in photoshop. Here is a huge prominence visible at the edge of the sun. Compare it with the size of the Planet Earth! This prominence is solar plasma being held by the loops of complicated structure of solar magnetic fields. Sunspot 2192 got flared up with an X-class flare this Sunday. I received a notification of this flare on my iphone app 'Solar Monitor' when i was about to put Lunt 152 Solar Telescope on CGEM DX mount. My excitement got flared up as well! Solar flares are the explosions on the sun, which can cause disturbances here on earth. X-class is a a very big explosion which can initiate radio blackouts on the sun facing side of earth. This was a X1-class solar flare. A mosaic of six frames with Lunt152 solar halpha telescope with DMK21 camera and Televue 2.5X lens. A mosaic of a wide prominence feature on the sun, using 5X barlow.